Card Skimmers are popping up everywhere, do you know how to spot them? Did you know some actually cover the whole device, or "trap" dispensed money? Check out the guide below on how to see, detect and avoid these types of tactics. REMEMBER: The best defense against a card skimmer is to cover/hide your PIN entry! The Consumer Protection Division of the Office of the Attorney General is the civil enforcement authority for all multi-circuit violations of the Florida Deceptive and Unfair Trade Practices Act. The Division protects Florida consumers by pursuing individuals and entities that engage in unfair methods of competition or unconscionable, deceptive and unfair practices in any trade or commerce. The Division also often partners with other state attorneys general, other state agencies, and the federal consumer protection enforcement agencies in joint enforcement efforts. This kit is designed to help you through the process of resolving your identity theft case and clearing your name. While there are many general identity theft resource guides available, this kit was specifically developed to provide assistance to Floridians who are identity theft victims, as well as individuals in other states who had their personal information fraudulently used in the state of Florida. The Construction Industry Licensing Board is responsible for licensing and regulating the construction industry. The board meets regularly to consider applications for licensure, to review disciplinary cases, and to conduct informal hearings relating to licensure and discipline. The board engages in rulemaking to implement the provisions set forth in its statutes and conducts other general business, as necessary. ​According to recent US Census Data, the population of Indian River County that is 65+ is at 30% (approx. 43,000 citizens) which means frauds specifically targeting our elder population is very common! If you would like to receive their Elder Update newspaper (FREE - 2 times a month!) and you reside within the State of Florida you can SIGN UP HERE!! 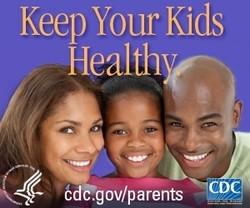 The CDC offers a wealth of information to help protect your kids from pregnancy until adulthood.